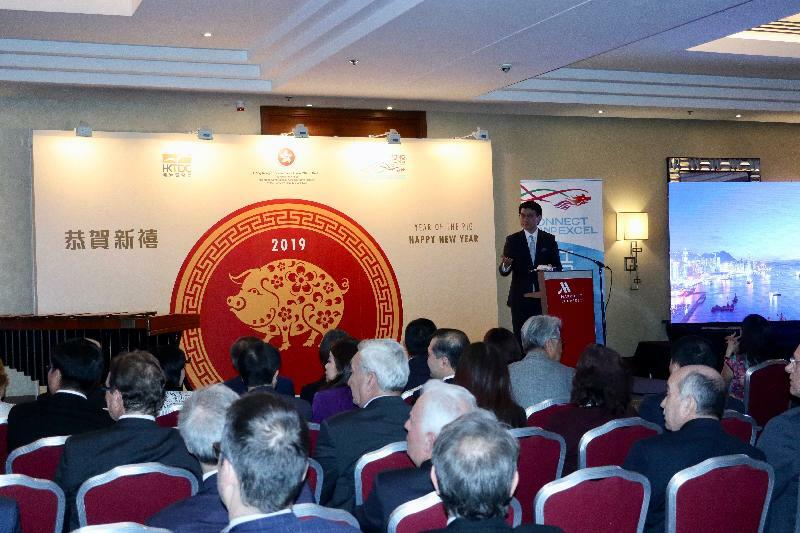 With a global outlook and international connectivity, Hong Kong enterprises and professionals play an indispensable role in making Hong Kong the prime platform for Hungarian enterprises to participate in the Belt and Road Initiative, the Secretary for Commerce and Economic Development, Mr Edward Yau, said at a Chinese New Year Reception in Budapest, Hungary, yesterday (March 21, Budapest time). The reception, hosted by the Hong Kong Economic and Trade Office, Berlin and the Hong Kong Trade Development Council, provided a good opportunity for over 100 Hungarian business leaders and chamber representatives to establish connections with a Hong Kong business and professional delegation and a parallel Guangdong delegation. 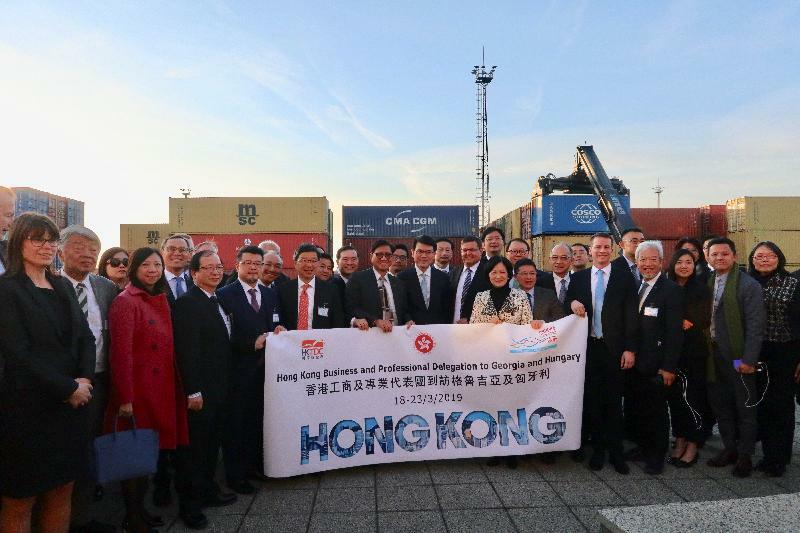 Mr Yau said that Hong Kong has all along maintained close bilateral trade relations with Hungary, which is Hong Kong's largest trading partner in the Central and Eastern European region. 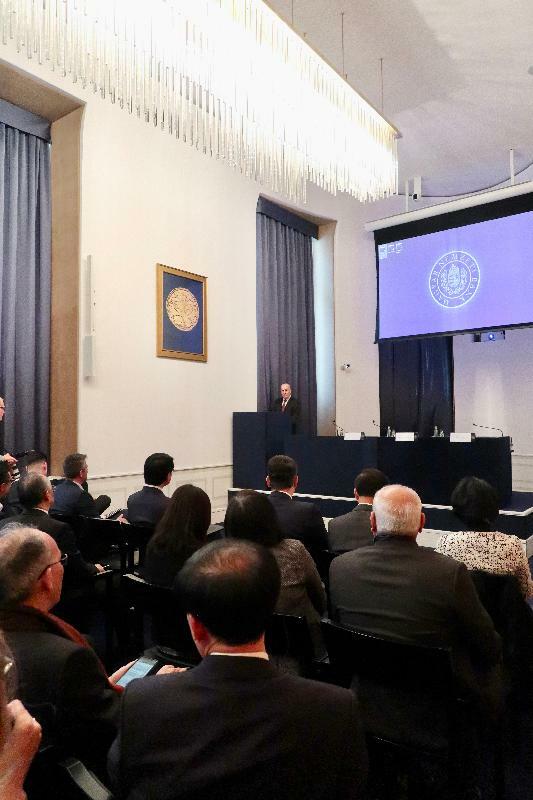 He added that the Belt and Road Initiative is bringing about flourishing development in global trade and infrastructure. 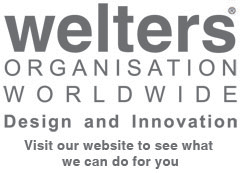 With Hong Kong's unique advantages under "one country, two systems" and its traditional strengths as a maritime, trade, financial and services centre, Hong Kong enterprises and professionals can offer world-class services to Hungarian enterprises and explore the Belt and Road opportunities together. Mr Yau is leading a delegation comprising more than 30 business people and professionals as well as representatives of start-ups to visit Hungary. Before the reception, Mr Yau met with the Deputy Governor of Magyar Nemzeti Bank, Dr Ferenc Gerhardt; the Deputy Minister of Foreign Affairs and Trade of Hungary, Mr Levente Magyar; and the State Secretary for Financial Affairs of the Ministry of Finance of Hungary, Mr Gábor Gion, to learn about Hungary's monetary and fiscal policy and economic development plans as well as the overall investment and business environment in the region. 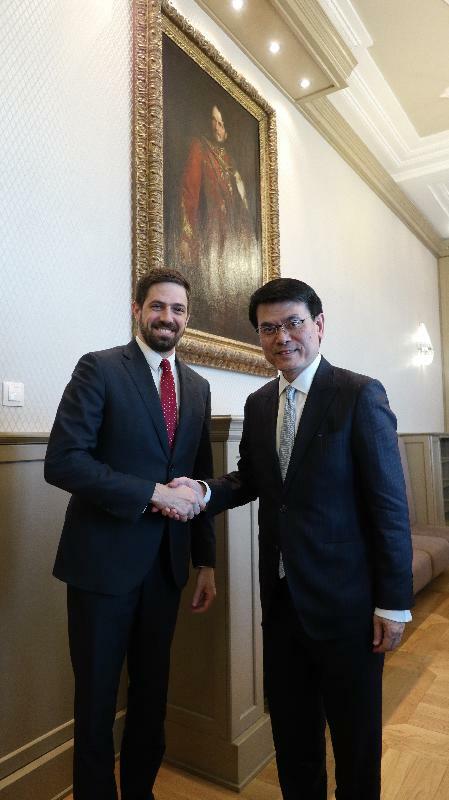 He also took the opportunity to meet with the Ambassador Extraordinary and Plenipotentiary of the People's Republic of China to Hungary, Mr Duan Jielong, at a lunch meeting. 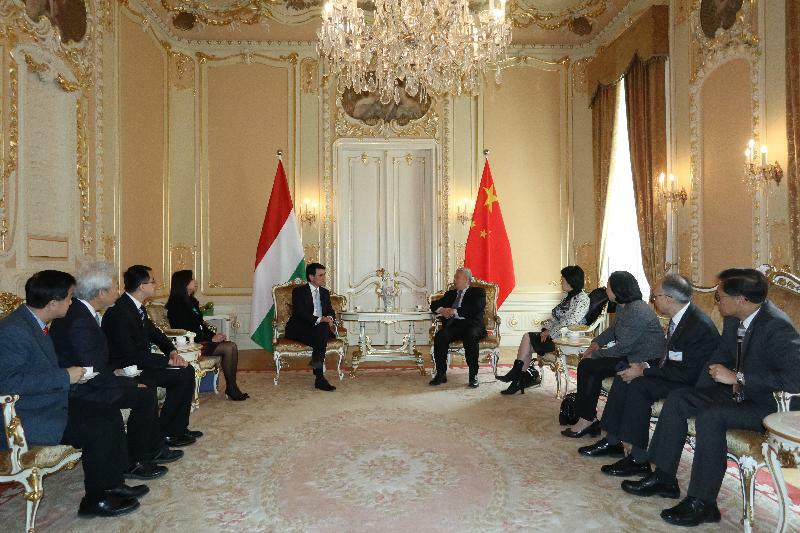 In the morning, Mr Yau attended a briefing on investment opportunities and the economic outlook in Hungary with the delegation. In the afternoon, they visited Rail Cargo Hungaria Zrt to understand the logistics infrastructure development in Hungary. Rail Cargo Hungaria Zrt is a subsidiary of the Rail Cargo Group, a leading rail logistics specialist in Europe that links trade routes within Europe and from Europe to Asia. To strengthen its presence in the Far East, the Group exhibited at the China International Import Expo last year. 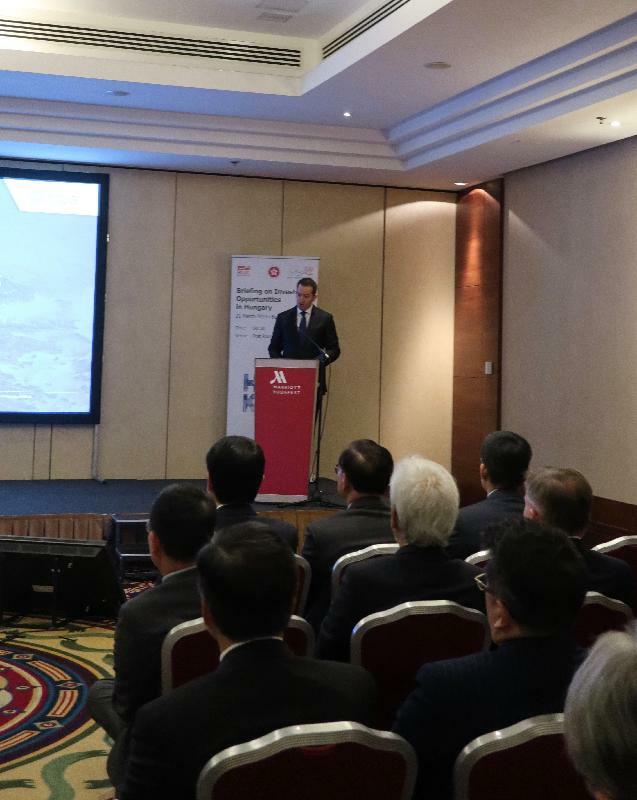 This morning (March 22, Budapest time), the delegation will pay a visit to the plant of Johnson Electric Hungary Kft in Budapest to understand the investment and operating conditions of Hong Kong-based companies in Hungary. A listed company in Hong Kong since 1984, Johnson Electric Hungary Kft is one of the world's largest automotive component suppliers and one of the largest Hong Kong investors in Hungary. Before concluding the visit in the afternoon, the delegation will attend a networking lunch with the Chamber of Commerce and Industry of Budapest. 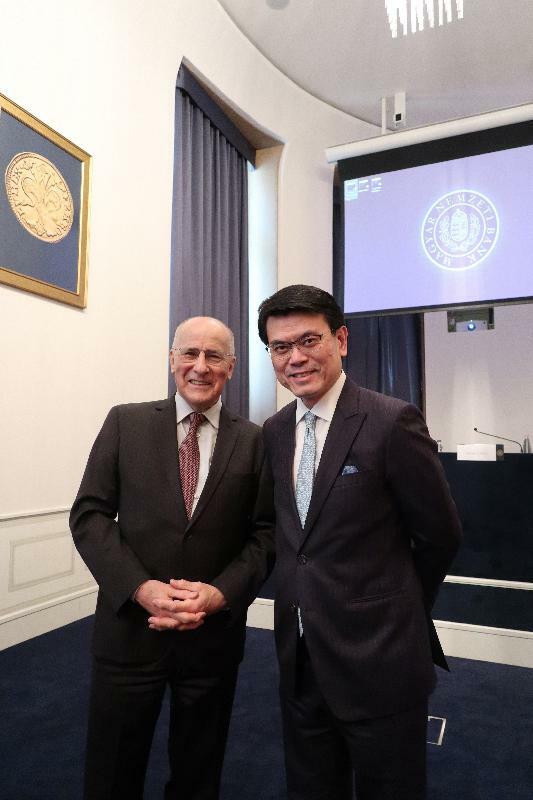 Mr Yau will return to Hong Kong tomorrow (March 23).